Roseburg Elks Lodge “Americanism” essay contest winners. In 300 words or less, Roseburg students wrote in their own words their response to, “What makes you proud of America?” McLane Stedman, 5th grader from Eastwood Elementary was the first place winner of the essay contest. Grace Gibby, also a 5th grader from Eastwood came is a close second. The third place winner of the essay contest was Emylie Moore of Fir Grove. Jim Blasi, Americanism Chairman for the Roseburg Elks Lodge and Southwest District was very impressed with the thoughts and ideas that came from this group of young people. 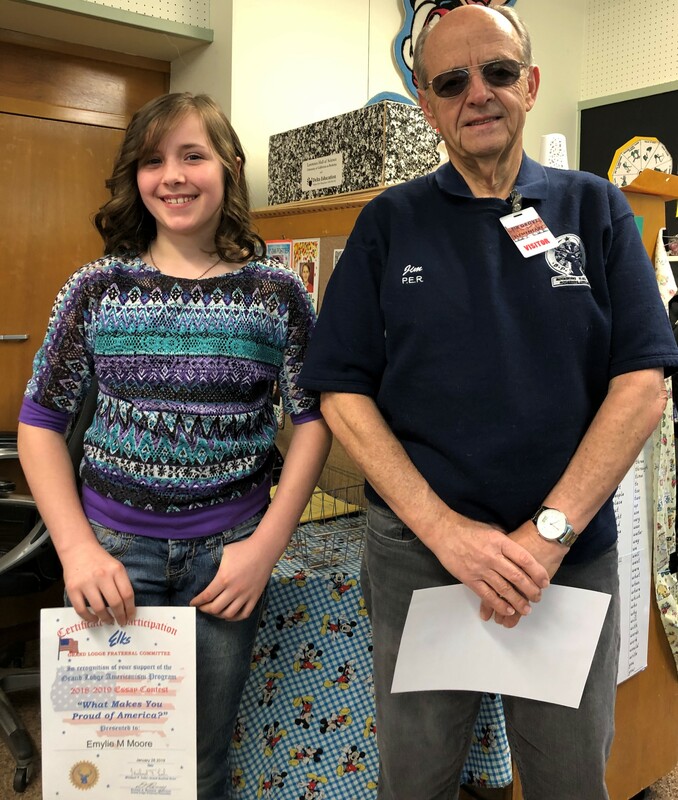 Jim Blasi was delighted to receive over 60 essays on this year’s Americanism Essay contest theme, “What makes you proud of America?” Fifth graders from Eastwood and Fir Grove Elementary schools opted to take on the challenge. Once the essays were turned in, a panel of Elk members reviewed and scored each essay. 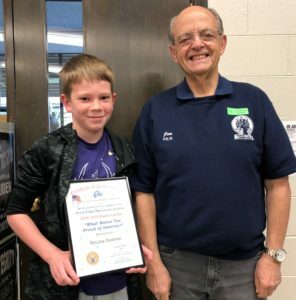 The winning essay written by McLane Stedman progressed to the District competition where he also placed first. His essay will now move on to the State competition. Winning essays at the State level will go to Grand Lodge, the final round. Grand Lodge awards 1st, 2nd and 3rd place winners with a plaque. The plaques are sent to the State Association of each for presentation to the winners. 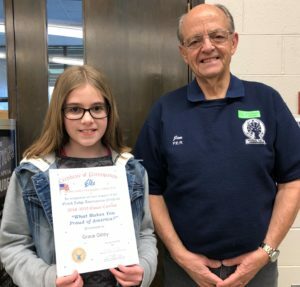 The Benevolent and Protect Order of Elks invite 5th, 6th, 7th and 8th grade students all across America to participate in the essay contest to promote patriotism among young people. Each year a new theme is revealed in August. For more information on this contest, go to www.elks.org.